Shia LaBeouf is no stranger to high-flying artistic endeavours. With his collaborators Luke Turner and Nastja Säde Rönkkö, the actor has hired skywriting planes to doodle #STARTCREATING over Los Angeles, run a metamarathon around Amsterdam's Stedelijk Museum, and locked himself in a room with members of the public. In a collaborative project with Dazed for SXSW, LaBeouf, Rönkkö and Turner are on a quest to find even newer ways to break down the emotive walls between digital culture, Hollywood and real life. Thanks to technology developed by pplkpr, LaBeouf will be wearing a heart monitor 24/7 for the next six days to transmit his heartbeat live from the Texan festival. You can log onto FOLLOW-MY-HEART.NET to watch and listen to every single murmur, throb and cardiac pulse he experiences throughout SXSW. 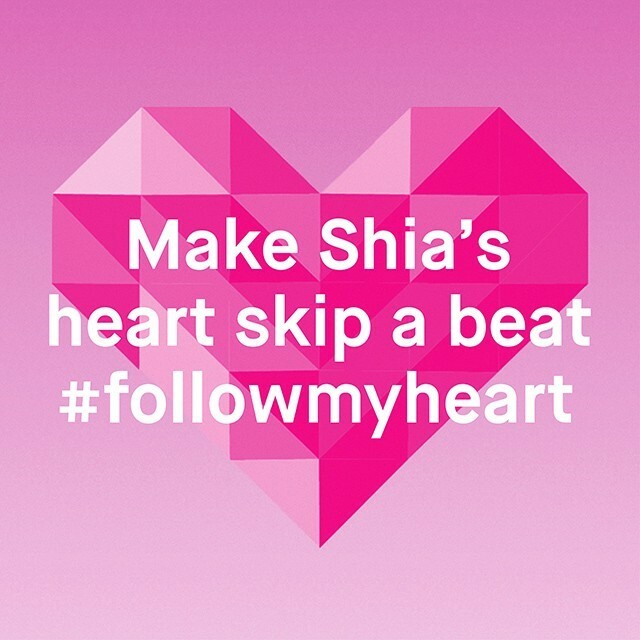 You'll also be able to live tweet his BPM from the site, so if you see LaBeouf around Austin make sure to introduce yourself and tell your followers how your interaction affected the beat of his heart. The three artists will also be speaking about #FOLLOWMYHEART at SXSW with Dazed editor-in-chief Tim Noakes on Sunday 15 March. Want to get involved? Tell us what you would say to LaBeouf to make his heart skip a beat and we'll pick the best questions for the talk this weekend. Comment on this post or reach us on our Instagram, Facebook or Twitter to participate. When people say, “listen to your heart”, they are urging us to tune in to the loving side of our selves; the imaginative, the intuitive, the compassionate, the inner wisdom we all possess. They are telling us to listen to our passion. As we roam the SXSW festival, the data of my heart will roam the networks, transmitted live at FOLLOW-MY-HEART.NET for us to follow together in real time for the duration. With our physical distance collapsed by the networks, that innermost and most intimate of rhythms will be rendered immediate on our digital screens. Like cats have whiskers, we too are born with a guidance system: our heart. It is our inner GPS, our map, and our guide. It promises to lead us down the path of maximum fulfillment. 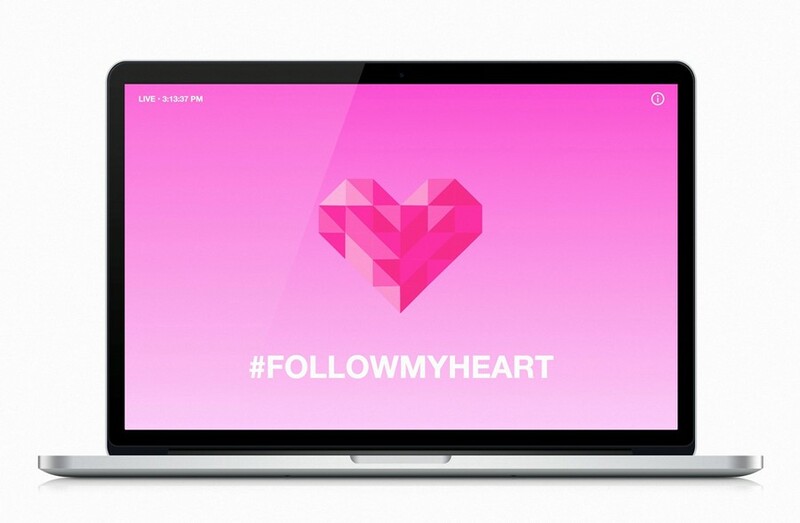 If you #FOLLOWMYHEART, it may lead to yours. Let us know on Twitter and Instagram via @dazedmagazine or Facebook via /dazedandconfusedmagazine!